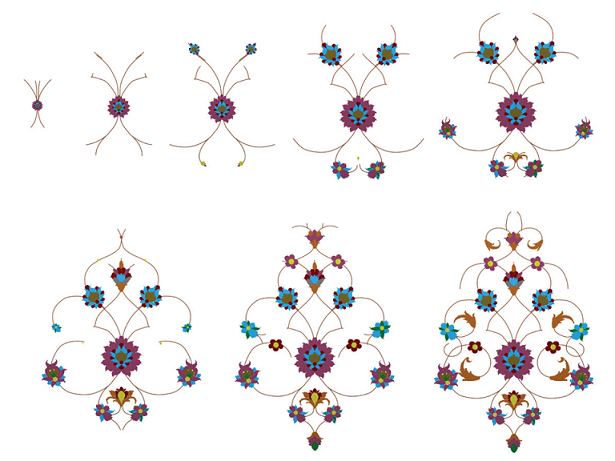 In this paper we describe Persian ﬂoral patterns and explore techniques for animating them. 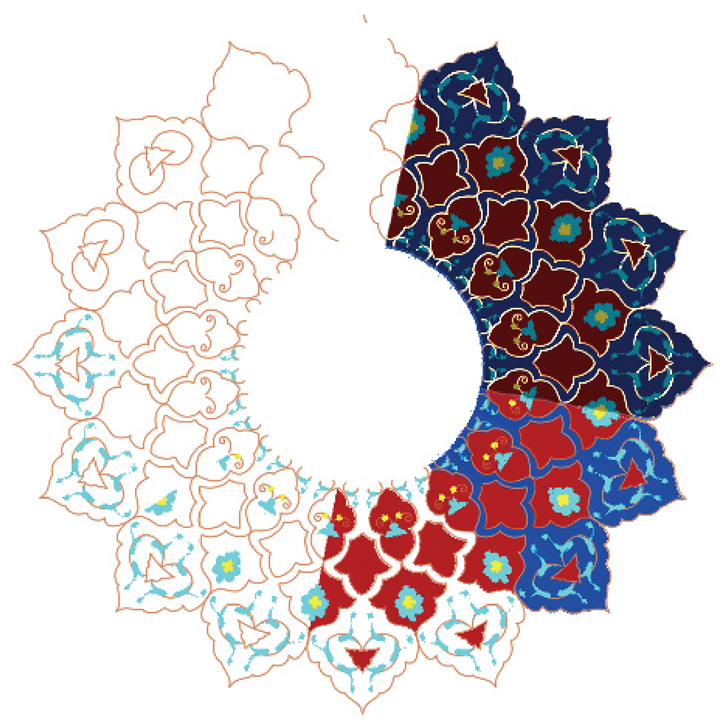 We present several approaches for this dynamic recreation: visualizing pattern symmetries, illustrating their design process, and simulating plant growth. For creating a pleasant illusion of a never-ending movie, we also explore an inﬁnitely cycling effect for self-similar patterns. The construction of animating patterns is started by interactive modeling of plant elements using NURBS. We then use procedural techniques to control the animation. Katayoon Etemad, Samavati, F.F. and Prusinkiewicz, P. Animating Persian Floral Patterns. In Proceedings of Computational Aesthetics in Graphics, Visualization, and Imaging, (CAe'08), pages 25-32, 2008. Katayoon Etemad, Lia Rogers, Sheelagh Carpendale and Alan Dunning. Transition: Contemplative Interactive Art. Journal of Computational Media Design, 2:148-151, June, 2011. Katayoon Etemad and Lia Rogers. Rising Symmetry. Journal of Computational Media Design, 3:134-141, December, 2011.